Make the Connection offers peer testimonials from veterans and service members who have sought help for stress issues, as well as resources for understanding symptoms and finding treatment. If you’ve ever directly or indirectly experienced a shocking or life-threatening event—from a car accident or operational mishap, to sexual assault or combat exposure—you may recall a few of your body’s reactions. Your muscles may have tensed and you may have started breathing rapidly, preparing to protect yourself or escape to avoid harm. Or you may have felt physically unable to move or react; temporarily paralyzed. This reflexive response is known as “fight, flight or freeze.” It is the brain’s pre-programmed way of preparing the body for perceived or actual threats—or temporarily impairing its ability to react to the threat—and is a normal frontline reaction to extreme stress. Once the threat has passed, the body can naturally return to its optimal state, rebalancing functions that were briefly intensified or suppressed. While the body can self-regulate, some reactions may linger for a short time afterward, such as feeling nervous or overly cautious when a situation reminds you of the traumatic experience. These reactions—which may temporarily impair behavior or function—are known as posttraumatic stress. In many cases, posttraumatic stress symptoms will subside naturally within a few days or weeks following the traumatic experience. Speaking with a chaplain, harnessing the support of friends and family, as well as maintaining a balanced diet and fitness regimen can help ease posttraumatic stress symptoms and promote recovery. Practicing self-care can also help build resilience after a traumatic experience. Try journal writing as a tool to promote calmness while expressing feelings, worries and concerns. If you have questions about your stress reactions or those of a shipmate or loved one, the Defense Centers of Excellence (DcoE) Outreach Center is a 24/7 non-clinical resource that can connect you with answers and additional support tools. PTSD can feel like a constant state of “fight, flight or freeze” even when there is no actual threat present. While PTSD can only be diagnosed and treated by a behavioral health provider, acknowledging your feelings and talking to someone about your experiences are important first steps toward recovery. Remember that you are not alone. By visiting www.maketheconnection.net, you can view hundreds of candid video testimonials shared by veterans, service members and their families who have experienced various forms of trauma, sought help and returned to living life fully. Additionally, Make the Connection offers customized information relevant to your own experiences, helping you better understand and navigate the issues you may be facing while connecting you with resources and services near you. 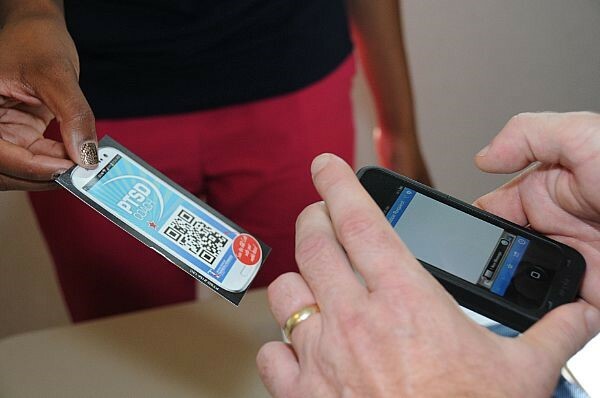 The National Center for PTSD and the National Center for Telehealth & Technology (T2) have developed a mobile app available for Apple and Android devices, designed to assist service members, veterans and civilians who may be experiencing PTSD symptoms. PTSD Coach includes features that provide users with individualized feedback on their symptoms while suggesting coping skills, sources of emotional support and professional treatment resources. Whether navigating daily stress, posttraumatic stress or PTSD, remember that it’s okay to speak up when you’re down. The more you are able to talk about your experiences, the less power the intrusive memories will have over you. Seeking the help of a qualified professional can help you understand your symptoms, build new coping skills and return to living a full, productive and meaningful life. For more information on PTSD, visit the National Center for PTSD. For immediate help, call the Military Crisis Line at 1-800-273-TALK (Press 1). June is Post Traumatic Stress Disorder (PTSD) Awareness Month, and contrary to popular belief, combat exposure is not the only contributor to this condition. A study conducted by the Naval Health Research Center found that non-combat deployment-related stressors play a significant role in contributing to cases of PTSD. This anxiety condition can result from experiencing an event involving direct or indirect threat of death, serious injury or a physical threat (eg. car accident, sexual assault, witnessing a traumatic incident, etc.). Seeking help for PTSD and other stress-reactions is a sign of strength and can make a real difference in the lives of those who need support—and their loved ones. If you, a shipmate or family member are experiencing symptoms that may be PTSD, consider the following tips provided by the Real Warriors Campaign to help you start a dialogue about the treatment process and take the first step toward wellness. Making a plan to talk with a health care provider about your psychological health concerns is an important step toward improving your overall health. If you have been through trauma or other challenges, it may be hard to talk about your experiences. A health care provider can help you understand your feelings and maintain your mental fitness. This article offers useful tips to help you choose a provider, prepare for your first appointment and make the most of your visit. Have you ever experienced a traumatic event? How long ago? Are you always on alert or easily scared? At what times? Do you often feel irritable or angry? How often? Do you drink alcohol or misuse substances? How often? Do you have any thoughts about harming yourself or ending your life? What treatments, if any, do you recommend? Where can I find more information about coping with my symptoms? Your provider may give you a lot of information during your first appointment. You may feel overwhelmed by everything you learned, which can make it hard to remember all that was said. Ask a family member or friend to go with you or plan to take notes to keep track of all the information you receive. Not sure how to start talking about a traumatic event? Use this checklist as a guide. Fill it out and show it to your health care professional during your visit. Talking about your psychological health can be challenging, but getting help early can improve your chances of a full recovery. Reaching out is a sign of strength and talking with a professional can help. If you or a loved one needs additional support, contact the Psychological Health Resource Center to speak confidentially with trained health resource consultants 24/7 by calling 866-966-1020 or by using the Real Warriors Live Chat. Watch video profiles to learn about service members who have successfully used the Military Health System and other psychological health resources for support. Navy Suicide Prevention Branch is a proud partner of the Real Warriors Campaign. To learn more about the campaign, visit www.realwarriors.net. For more resources to support Every Sailor, Every Day, visit www.suicide.navy.mil and http://www.public.navy.mil/BUPERS-NPC/SUPPORT/21ST_CENTURY_SAILOR/OSC/Pages/default.aspx. BONUS! The Department of Veterans Affairs’ National Center for PTSD and the Department of Defense’s National Center for Telehealth and Technology have created a free mobile app to help service members and veterans recognize and find support for symptoms that may occur after traumatic events. To learn more about the app, including how to download it for Apple and Android devices, check out http://realwarriors.net/active/treatment/ptsdcoach.php. It is well known that extended and repeat deployments can impact the readiness and psychological health of Sailors and Marines who put on their uniform every day in defense of freedom, but what about the Sailors and Marines who temporarily set aside civilian and family responsibilities and lace up their boots in support of the same cause? They receive the same pre-deployment training and experience the same potentially traumatic events, such as injury and loss, during deployment. Yet, studies indicate that Reserve and National Guard members may be at greater risk for developing psychological health conditions than their active duty counterparts. How can we bridge the gap? About 40 percent of Reserve and National Guard members returning from deployment report experiencing psychological health conditions (Hoge, Auchterlonie, & Milliken, 2006; Seal, Metzler, Gima, Bertenthal, Maguen, & Marmar, 2009). In addition, rates of post-traumatic stress disorder (PTSD) and depression actually increase in these service members during the period following a return from deployment, with some reports more than doubling in the first six months post-deployment (Milliken et al., 2007). This is substantially greater than that observed in active duty service members with similar combat experiences and suggests that post-deployment reintegration issues may pose a significant obstacle for Reserve and National Guard members (Milliken et al., 2007; Thomas, Wilk, Riviere, McGurk, Castro, & Hoge, 2010). Significant differences in occupations and social and military support structures likely contribute to the additional stress experienced by Reserve service members following their demobilization. Reservists are rarely employed in the military full time and frequently hold jobs in the civilian sector that may be disrupted by prolonged absences during deployments. When they return home, some Reservists may be out of uniform and back at their civilian jobs within weeks or even days, which can isolate them from the military community and its support systems. Many Reservists live and work in rural locations away from military bases, which can impede access to Medical Treatment Facilities (MTFs). This geographical limitation can delay treatment and further isolate a service member in need. In addition, families of Reservists may be less accustomed to the frequent and extended absences of their service member and are less likely to be integrated into a military community and culture that can offer support before, during, and after deployments (Erbes, Kaler, Schult, Polusny, & Arbisi, 2011). Although Reservists face unique challenges when it comes to serving in the military and living in the civilian population, they may share the same negative perception of seeking support for a psychological condition as their active duty counterparts. Research suggests that only 23 to 40 percent of service members who were thought to have a moderate or severe psychological health condition following a recent deployment received professional assistance. Service members cite a variety of perceived barriers to psychological health services, including lack of trust toward professionals, the expense of seeking treatment, and the negative attitudes toward receiving psychological health support (Hoge et al., 2004; House Armed Services Committee 111-491, Report to Congress on Barriers to Seeking Treatment, 2012). The U.S. Bureau of Medicine and Surgery (BUMED) created the Psychological Health Outreach Program (PHOP) to serve as a psychological “safety net” for Reservists and their families who are in need of support services. Licensed mental health clinicians work to address and overcome the unique challenges that Reservists face and reduce barriers to seeking help. They provide assistance with issues related to PTSD, Traumatic Brain Injury (TBI), depression, substance abuse, and relationship issues. Services are available at six Navy and six Marine regional offices, which offer behavioral health care screenings, referrals, and 24/7 phone and email support. The PHOP staff also provides command support in the form of briefings and consultations. If you or someone you know is a Reservist in need of support reintegrating or transitioning back to civilian life, don’t hesitate to reach out for help. If you or someone you know is contemplating suicide, seek immediate assistance. Do not leave the person alone. Call 911, seek help from a healthcare professional and/or call the Military Crisis Line. Chaplains, corpsmen, health care professionals at your MTF or branch clinic, and your local Fleet and Family Support Center can also provide assistance. Editor’s note: In our efforts to keep you informed about the latest relevant research and program information we will occasionally highlight our partner’s work or trusted outlets. 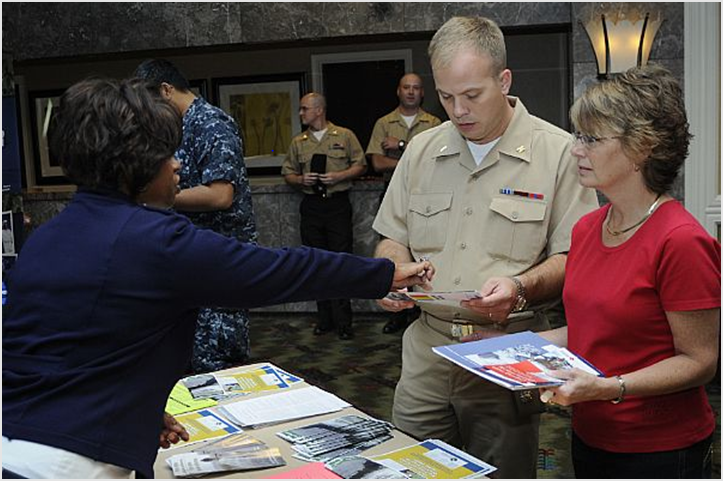 New on Navy Medicine Live is a blog post by Shelly S. McDowell, LCSW USNR/USMCR Psychological Health Outreach Program Project Manager.